Relocation to a new city can be a complex and sometimes confusing experience. Moving means change in your life. In addition to the move itself, you'll find yourself dealing with a whole new set of emotional, legal, and financial details-a new home, a new job, perhaps even a whole new lifestyle. 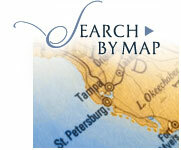 Selecting a Tampa relocation will be one of your most important decisions. Keller Williams Realty is Florida's fastest growing REALTOR®. More importantly, we think you'll be pleased with the competency, professionalism, and the level of individual attention and real estate service you'll receive from Keller Williams Real Estate. The first step is for you and your family to visit Florida, not only to house hunt but also to learn about and become comfortable with your new community. House hunting can be fun, but it can also be confusing and discouraging unless homes and neighborhoods are properly screened for you. After counseling with you, I, your Keller Williams Florida Real Estate sales associate will research the market thoroughly and present you with carefully chosen choices that match your needs. After you've selected the home you want to buy in your Tampa relocation, I'll put my experience and knowledge to work for you in carefully preparing the paperwork and recommending the best financing alternatives. 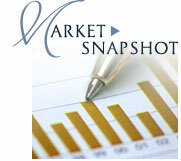 I'll follow all the details to closing to insure a smooth and satisfying real estate transaction. Buying a home that is farther away from work may have a lower mortgage payment, but you'd be surprised at how much more you'll spend by driving to work. Try comparing a house in-town to a less expensive house out-of-town & see the actual cost of commuting for yourself. Powered by Boulder real estate experts -- Automated Homefinder®.